Within the last 50 years, UROMED has developed into one of the leading providers of urological medical devices and drainage aids for incontinence care. UROMED’s top priority is always to improve patient care. Find out more about UROMED’s corporate philosophy, milestones and quality management, which ensures the smooth operation of all service areas and enables precise coordination of the entire work process. Diseases of the kidneys, the urinary tract and male genital organs affect people of different age. The following pages contain information about the right catheter and how to avoid urinary tract infections, as well as valuable information about urological disorders. You will also find information on aids and costs. If you have any further questions, please do not hesitate to contact us. As an expert in the field of urology, you will find concise information about different methods of urinary diversion with UROMED products, e.g. catheters and stone retrieval baskets, as well as special solutions such as »EMDA®«*, (electromotive drug administration), which we have developed for the treatment of your patients. For our customers and partners, high-quality service forms the basis of a long-term and trusting relationship. Professional advice, on-the-spot training and quick solutions for emerging problems are a matter of course for us. We also provide you with various brochures containing in-depth information about urological topics, our products and very specific medical aids, such as the UROMED medical device passport. UROMED is constantly looking to improve its products for the benefit of patients. Under “News”, doctors and patients can find information about special urological devices that, for example, offer patients greater mobility and independence, thus contributing to an improvement in the quality of life. This site also provides an outlook on upcoming (urological) events. The frequency of stone diseases (urolithiasis) is increasing in Germany. The precipitation of soluble salts in the urine causes crystals to form, which ultimately combine to become urinary stones. The development of urinary stones can be caused by nutritional and drinking behaviour, or by specific metabolic disorders. Because of the localisation, one differentiates between kidney, ureteral and bladder stones. Stones that are not passed often cause highly acute, severe pain. Depending on their size, location and composition, various therapeutic methods are used. 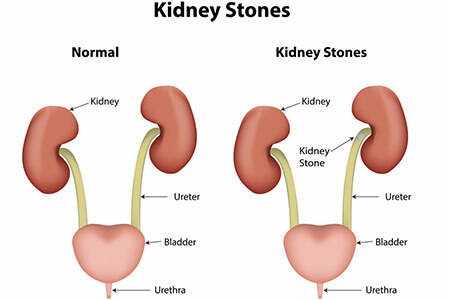 For larger stones, percutaneous nephrolitholapaxy (surgical procedure for the removal of kidney stones) may be indicated, provided that there is no untreated urinary tract infection and no pregnancy. Some stones can also be broken into tiny pieces using so-called extracorporeal shockwave lithotripsy or dissolved with drugs (chemolitholysis). For larger distal ureter stones, a basket is appropriate for extraction. The duration of the treatment is shorter and very good results can be achieved, especially in obese patients and for stones with small shadows. UROMED offers the »STONIZER®« for this, a product that delivers excellent user-friendliness. It is made from nitinol, a highly elastic nickel-titanium alloy and, unlike conventional stainless steel models, can therefore even be used in patients with complex ureter anatomies. The »STONIZER®« is made from a single piece, which means it has no critical joints. Thanks to its rotatable basket, it allows straightforward retrieval of the stone with minimum risk of injury. 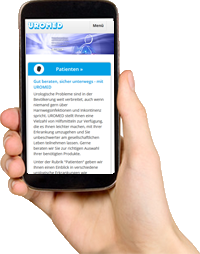 This website is optimized for mobile devices!